Shenzhen lies just north of the border with Hong Kong and about 100 kilometers south of Guangzhou. It was China’s first Special Economic Zone, which invited enormous amounts of both foreign and domestic investment and made it one of the world’s fastest growing cities. Today it is the richest city in China and one of the largest. It is also on the list of UNESCO Creative Cities (for design). 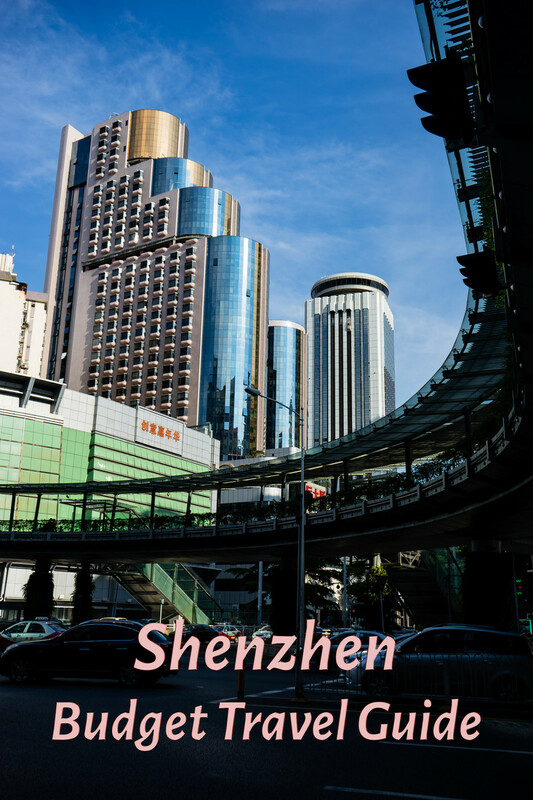 Shenzhen gets a lot of Chinese tourists, mainly for the amusement parks and the shopping, but it doesn’t really have much to offer foreign tourists and not many visit the city. Shenzhen has hot and humid summers and mild, dry winters. The best months to visit are October and November. April and May are pleasant temperature wise, but the monsoon season runs from April through September, so you’ll likely get some rain. June to September is the typhoon season. The best way to get downtown from Shenzhen Bao’an International Airport is line 1 of the Shenzhen Metro. It costs ¥5.7 and takes about 50 minutes. You could also take an Airport Suttle bus, but the metro is more convenient. Taxis will cost about ¥100 to central Futian and to ¥150 Luohu. You could also arrive at Hong Kong international airport and get straight to Shenzhen via the Airport Express train or the airport ferry service. Shenzhen has three railway stations and all are connected to the Shenzhen Metro. Shenzhen Station lies just north of the Hong Kong border and serves mostly Guangdong regional trains and a few long-distance sleeper trains to some major cities. It also has a high-speed shuttle service to both Guangzhou East Station and Guangzhou main station, both of which have numerous trains to the rest of China. Shenzhen North Station is located in the northern Bao’an district and has ultra-high-speed services to Guangzhou South, to Wuhan and soon to Fujian province. Shenzhen West Station in Shekou only has a few services to other parts of Guangdong and a couple of other provinces. There are several bus stations in town. If you are arriving by bus, find out beforehand which station you will arrive at and how to get into town from there. If you arrive at the Luohu Station, that part becomes easy—it is located directly next to the border crossing with Hong Kong and the Shenzhen Railway Station, so you can simply take the subway. Finally, you could arrive by boat from Macau, Zhuhai or Hong Kong, in which case you’ll probably arrive at the Shekou ferry terminal. From there, you can take the subway or the bus into town. The Shenzhen Metro is the best way to get around the city, but the buses are good as well, just a little more difficult to navigate. You’ll also find free shuttle buses that run from the immigration building at Louhu to various attractions around the city. If you decide to take a taxi, make sure it has a license in the window. If it doesn’t, get a different one; unlicensed taxis will only cause you problems. Look for the blue and white e-taxis to save the environment as well as a bit of money. All other taxis have a 3 Yuan fuel surcharge, which the e-taxis don’t charge. Because of this, they’re very popular, but since there aren’t that many of them yet, they can be hard to get. Most people take one if they can, but won’t bother specifically waiting for one. Shenzhen does not have a lot of budget options and most of them are pretty bad. 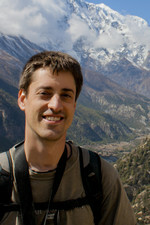 You’ll find a couple of hostels, but nowhere near the selection you get in cities more popular with foreign tourists. Melbourne’s Home Hostel is easily the best, but still a far cry from the amazing hostels in cities like Chengdu and Xi’an. You can’t beat the location, though: right downtown near the city’s most important subway stop (Grand Theater). If you don’t mind spending a bit more ($25 and up), hotels are your best bet in this city. If you want to stay in the Luohu district, near the Dongmen Shopping Street (see ‘Things to Do’ below) and the Hong Kong border, go with the Colour Inn. If you prefer to stay in Futian (it’s less sketchy), go with JNS City Hotel for a cheaper room (around $35 for a queen) or the Shanghai Hotel ($55 for a single) for a nicer room and a better location, i.e. closer to the Huaqiang North Commercial District (see ‘Things to Do’ below). If you need a room near the airport, you can’t go wrong with the Jinjiang Inn. Shenzhen has a pretty good nightlife for China. There are bars and clubs for most tastes, but things are constantly changing. Ask someone at your hotel or guest house where to go on a particular night before going out. Currently (May 2014), the main nightlife areas are in Shekou (Sea World Station on metro line 2), the area surrounding the COCO Park shopping mall in Futian (Shopping Park Station on metro line 1), the bar street at the OCT (see ‘Eating’ below) and around Dongmen in Luohu. The first two are the most popular with foreigners, while the last caters more to Chinese tastes. You’ll find any type of restaurant and any price range in Shenzhen. Overseas Chinese Town (OCT) has a large number of dining options. It’s an especially good place to get great Korean food. It’s located behind the Inter Continental Shenzhen Hotel near the Hua Qiao Cheng (OCT) Metro Station. For foreign food, your best bets are Shekou (Sea World Station on metro line 2) or the COCO Park shopping mall in Futian (Shopping Park Station on metro line 1). Shenzhen has a reputation among the Chinese as the most dangerous city in the country, but it’s still relatively safe by western standards. The main problem is petty crimes like pickpocketing. Just pay attention to your valuables, especially on crowded buses, subways, in stations, at markets, etc. and you’ll be fine. Beaches: Shenzhen has some of China’s best beaches, most of which are found on or near Dapeng Peninsula, which was named one of China’s top ten most scenic coastlines by Chinese Geographic Magazine in 2006. Xichong Beach takes a bit more effort to get to than most, but it is probably the best beach in the area, as it’s cleaner and less developed than the closer and more popular beaches Dameisha and Xiaomeisha. Dameisha is free and by far the most popular, but it’s not great for swimming. Xiaomeisha is much nicer and less crowded, but you’ll have to pay an entrance fee (around 20 Yuan and definitely worth it). Hiking: Shenzhen has a ton of hiking opportunities, with its abundance of hills, reservoirs and beaches. Some of the more famous hikes include Wutong Mountain, Nanshan Mountan and the Yantian Walk along the coast. You can read about my sweaty visit to the Meilin Reservoir here. Pretty cool overview. I am living in Shenzhen, most of the places I already visited. On the taxi rides a indeed disagree, they are so convinient and cheap. And for sure the summer is so great 35°C and more humidity is up in the 90% just so great, but dpends on your own taste. Definitely depends on your taste. For me the winters were actually the worst. If I have a hot summer, I need a cold winter to balance it out. The winters in Shenzhen were way too warm for my taste.